to read (5% of the Heraldic hands engravings). NB: If I carry out more engravings to seal than reading engravings it is than it is a reason! The reading engraved signet ring is simply a ring. The signet ring to seal is a ring, but becomes also a tool to create a seal with your weapons. It is delivered you with its sealing wax carried out by me, so I prove you the exactitude of engraving. Commercially, in the first case I deliver a reading ring, in the second case, a ring to seal with its wax seal! 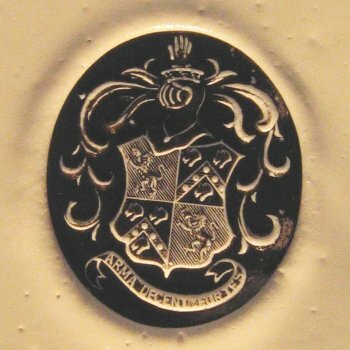 For choosing well the shape of the plate of your signet ring, you should make a small preliminary study of what you want to engrave. if your ecu must only be represented, the form of this one and its proportions, (if you have not the size already). if this ecu must receive parts in chief , in foot, or on the sides . if it is basic square, a “cushion” signet ring is preferable. if it is slightly lengthened, an “oval” signet ring or “ancient rectangle” signet ring will go better. if it is long, a “lengthened oval” signet ring or “barrel” signet ring is preferable. lastly your preference above all! if you have an original drawing of the shape of plate to realize, send to me one sketch!